Can you believe we’re already into the middle of the week? 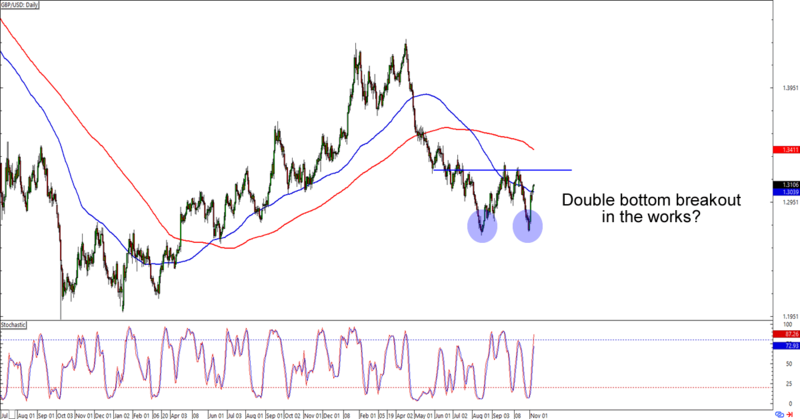 Get over the mid-week hump by checkin’ out these short and long-term charts on EUR/USD and GBP/USD! 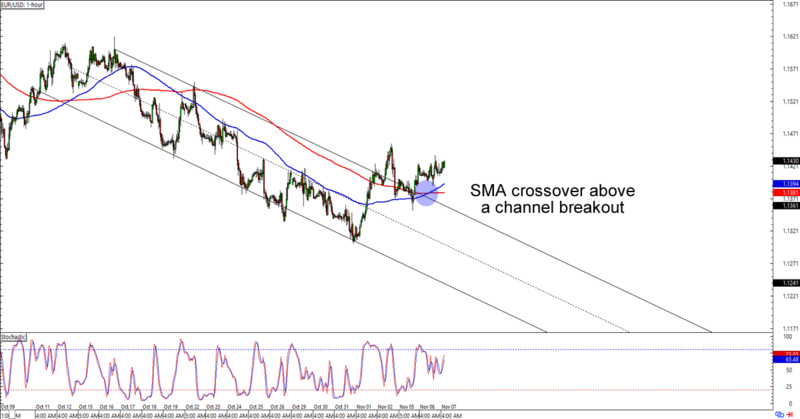 After breaking above the descending channel that we spotted a few days back, it looks like EUR/USD is ready for a new trend. I’m talking about that SMA crossover, yo! If EUR/USD breaks above the 1.1450 area of interest, then we might see a trip up to the 1.1540 – 1.1600 previous highs. But if forex bears step in to drag the euro lower, then y’all need to wait for breaks below the 1.1375 support and previous channel resistance before placing any short trades. Whichever bias you choose to trade, make sure you’re practicing good risk management, aight? Somebody holler at Huck because this potential breakout is too good to miss! GBP/USD is about to hit the 1.3250 previous resistance level, which marks a potential “neckline” of the two bounces that we’ve seen above 1.2700. Are we looking at a double bottom breakout in the making? The School of Pipsology says that the breakout can be as high as the distance between the necklines and the “bottoms,” so we’re looking at a potential 550-pip move. Before y’all get excited, though, you should also note that the bears could always defend the level and prevent an upside breakout. That means you should be prepared in case this turns into a range play!